Can stepping into a wine store be as simple as “flavor” and “body?” Can descriptions like “silky, bold, fruity, or crisp” guide the novice wine consumer? 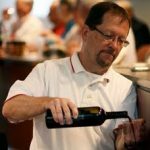 Two national wine franchise operations, Vino 100 and Wine Styles, have grown at a pace suggesting consumers have embraced the concept. While those franchises don’t have much history, going back just 6-7 years, they have been successful, reaching coast to coast. 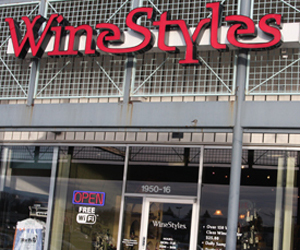 Wine Styles has approximately 100 stores, while Vino 100 has 50 stores in 19 states. Both franchise retailers emphasize value wine under $25. The franchise stores use taste characteristics to guide consumers. 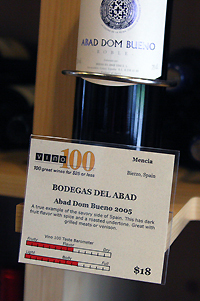 Vino 100 features a ‘wine barometer’ to measure flavor and body. Wine Styles categorizes its wines by Crisp, Silky, Rich and Bubbly for whites then Fruity, Mellow, Bold, and Nectar for its reds. Avera insists personal service and knowledge are still the most important ingredients, but the barometer is an excellent complement to traditional tasting notes. Lockwood had worked in wine wholesale before opening her Indianapolis retail location. She looked at the two franchises but didn’t feel the need for that type of corporate structure and cost. The one idea she did like was the taste profile concept. It was just the opposite for Bill and Tena McClanahan, who were in the printing business for years before developing their wine store. 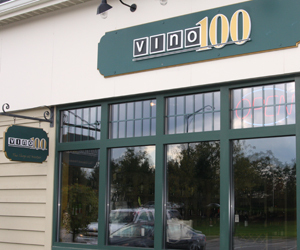 They visited the headquarters of Vino 100 and Wine Styles to learn about the franchises. They liked the Wine Styles business model best and opened in October 2008 in Carmel, a north side suburb of Indianapolis. Avera said the upper-end wine customers, the usual critics, know what they want when they enter the store. Both franchise businesses carry a small selection of more expensive wines, and Wine Styles boasts some exclusive labels. The two franchise owners look at their unique guidelines and their knowledgeable staff as the keys to their successful one-year business operations. McClanahan said her store “exceeded all expectations” in their first full year and even acknowledged thinking about expansion. Both franchise stores benefit from locations in affluent suburban communities. All three women note the critics are losing the argument, and point out that expanded tasting notes and other similar features are popping up in non-franchise stores across the country. As a thirty-something wine drinker, I agree that this sort of marketing makes sense. I have some knowledge with a few different regions and styles of wine that I have tried, but always love trying new stuff. Having a place to jump off makes exploration easier when a consumer goes shopping for wine and doesn’t have a huge budget to blow. Trying new wines should be a fun proposition, and so should buying them. A little knowledge and a little reassurance in the process goes a long way in making it so.